When the charred remains of a young woman were found atop Broad Mountain in the spring of 1925, about three miles from Heckscherville, one of the largest police investigations in Pennsylvania history was launched. In spite of three false positive identifications of the remains having been made, more than 175 different leads having been pursued, and reports of more than 60 missing girls having been investigated, the crime has never even come to close to being solved. As late as 1932-- seven years after the discovery of the charred remains-- there was at least one full-time detective from Troop C of the Pennsylvania State Police in charge of running down leads connected to the crime. As late as 1937, Dr. Spencer kept the preserved head of the victim available for inspection at the Fountain Springs Hospital in the hopes that the victim would be identified. 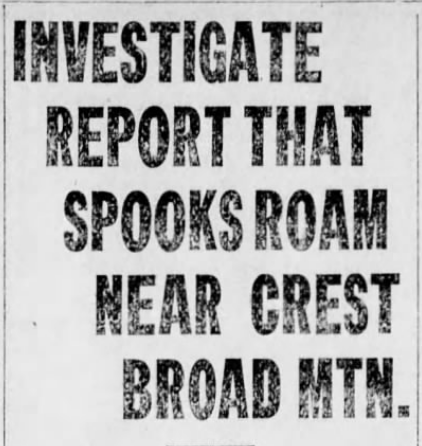 The first two articles about the Broad Mountain Mystery explored the facts and rumors pertaining to the crime and its subsequent investigation. Today's article explores the aftermath of the horrible crime; in particular, it explores the spooky side of this Schuylkill County mystery, and examines the dozens of ghost encounters many claimed to have experienced on Broad Mountain in the weeks and months after this horrible, confounding murder. On the night of Monday, July 20, 1925, a crowd assembled at the scene where, three months earlier, the burned remains of a young woman were found. This group, comprised of scientists, electricians, teachers and other locals of a self-described higher education, had traveled to Broad Mountain not to solve the mystery of the murder, but to put to rest the rumors that the site was haunted. 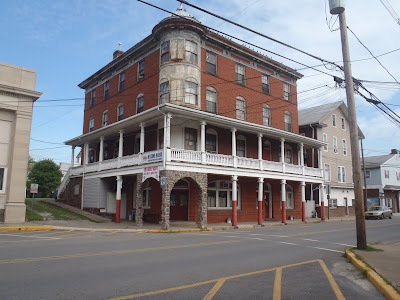 This team-- perhaps the very first paranormal research team in Schuylkill County history-- carried with them all manners of electronic and scientific devices and instruments. They stayed for hours, but were unable to witness for themselves any of the paranormal phenomena said to take place there. At 2 o'clock in the morning, they decided to call it a night. One member of the party was unconvinced, however. 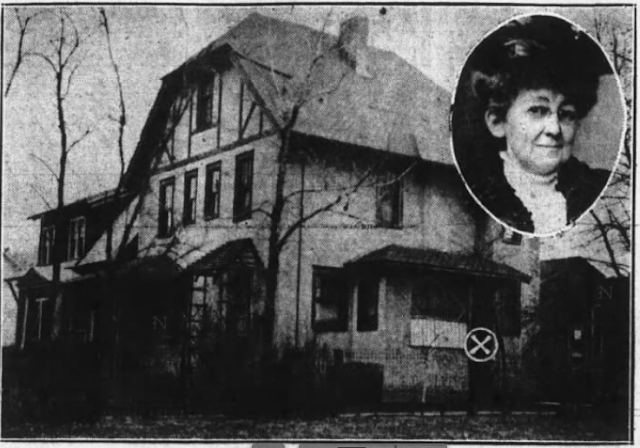 A spiritualist from Harrisburg declared that the talking and hubbub of the other observers prevented her from getting the message that was being sent from the spirit world. She was certain that she would have been able to hear the otherworldly transmissions-- if only those pesky, meddling scientists and professors would go away. Little did she know that spiritualists from as far away as New York and Boston were already en route to Schuylkill County, convinced that their special powers might solve the mystery of Broad Mountain. When the spiritualists arrived, their first order of business was to try to communicate with the spirit of the victim. Three psychics tried to reach her but failed, citing the "irreverence of bystanders" as the reason. Apparently, this was a very shy ghost they were dealing with. Officials from nearby Minersville offered the theory that the ghostly sights and sounds were caused by electronic interference, noise from distant vehicles or natural phenomena. They pointed out that the blood-curdling screams heard on the mountain at night might be from some of the area's furred and feathered denizens of the dark-- hoot owls and catamounts. They also wouldn't rule out the possibility of practical jokers. These logical explanations didn't find much favor with the locals; according to newspaper reports, throughout the summer of 1925, close to one hundred automobiles could be found parked along the highway at the crest of Broad Mountain each night. This situation worried local police, since it appeared that every motorist who ventured to the murder spot carried one or more guns for protection. The last thing the police needed was for a frightened visitor with poor aim to be scared by a hoot owl and begin shooting off his weapon on a dark, crowded mountaintop. The Broad Mountain ghost, by most accounts, loved to play havoc with passing motorists. Motorists frequently claimed that their cars suddenly came to a stop when they reached the spot of the murder. Many others claimed that their headlights began to blink in an erratic and inexplicable manner. One witness told his story to the Mount Carmel Item. His car had also balked near the scene, immediately after he heard a horrible screeching wail in the darkness. Just as the phantom scream reached its crescendo, the engine sputtered and the car stalled. The motorist explained what had evidently happened; for he claims that he had heard the screeching of a hoot owl near the summit of the moutain and, suddenly frightened by the unexpected shreik, his nervous foot had jumped and kicked the gear shift and his car went out of gear. He believed this was also the cause of many other similar occurrences experienced by other motorists passing the scene of the crime. This, of course, does not explain all of the paranormal activity on Broad Mountain. On Wednesday, July 8, three men from Minersville were picking berries near the murder scene when they had quite an unusual experience. This was days before the stories about the Broad Mountain hauntings became public and, unlike other accounts by other witnesses, these men had not gone to the area in order to investigate. Theirs was a daytime foraging expedition; not a quest to prove or disprove the existence of spooks. The men were busy picking berries not far from the murder scene when their attention was grabbed by the sounds of moaning coming from the direction of the road. Fearing that someone had been badly injured, they speedily made their way to the spot where the sounds were coming from, only to find that their trail led to the very spot-- to the tell-tale pine tree surrounded by brush-- where the charred body had been found. There was nobody there. The three men raced back to their car and high-tailed it back to Minersville. On July 13, another party of men from Minersville had a peculiar experience. This party consisted of expert auto mechanic George Shellick, who owned the West End Garage, and two of his employees, Michael Purcell and John Boberick. That evening, the men were driving over the mountain in Shellick's Oldsmobile when their vehicle seemed to "refuse" going past the old timber road where the victim's body had been found. Boberick and Shellick tried in vain to get the car to start while, Purcell, scared out of his wits, took off running down the mountain. Though he was nursing a broken arm, he obviously had no intention of waiting around. When the wail of a bobcat (or something else) split the evening silence, the car's engine miraculously sprang back to life. Shellick and Boberick made a hasty retreat from the scene, picking up Purcell along the way. The men were so frightened that, instead of returning home, they went to the Minersville police station to file a report. By the end of July, Broad Mountain had turned into a tourist hotspot, attracting curiosity seekers from all over the United States. Anyone familiar with the case could see the allure; the unsolved murder of a pretty, young girl with underworld connections coupled with dozens of reports of glowing apparitions and blood-curdling screams made Broad Mountain a must-see destination that was too tempting to resist. A motorist who drove past Broad Mountain on the evening of July 23 noted at least 300 automobiles parked by Dondero's Country Store, while another source estimated that no less than 2,000 persons had gone to visit the murder scene that night. Of all the unsolved murders in Pennsylvania history, none is quite like the Broad Mountain mystery. It was a crime that captivated the nation, and turned Schuylkill County into a tourist destination practically overnight. To this day, many locals still tell ghost stories about the mountain In fact, I heard about it myself many times as a kid: "Did you know there's a ghost up on the mountain by Gordon? Yeah, like a couple hundred years ago the Indians kidnaped this girl and set her on fire and her ghost still haunts the mountain... and if you park your car at the top and honk your horn three times, she'll come out of the woods and walk right up to your window. I've never seen her, but my friend's cousin has an uncle who knows a guy who once saw her! I swear! Sometimes the ghost was supposedly that of a murdered girl who had her head chopped off, or a girl who lost her head in a car crash. But it's always the ghost of a young, pretty girl at the top of the mountain. If, like me, you grew up a stone's throw away from the scene of the mystery, you've probably heard the ghost stories yourself, and now you know how, where, and why they originated. the victim-- even if the identity of her killer never came to light. Sadly, authorities of the 1920s had no way of knowing what miraculous technological and scientific advances awaited them. Had they known, perhaps the remains of the murder victim would not have ended up in an unmarked grave in some potter's field, forever lost and forever leaving the identity of the girl who was set afire that day in 1925 an eternal mystery.